Indian wedding functions are never complete without high-energy Bollywood songs. Be it your cousin, uncle or great grandma, everyone will dance in joy on your wedding. The perfect songs will make people want to shake a leg no matter how shy they are. If you are getting married soon, then look no further for fun songs to add to your stellar wedding playlist. Here are the top 10 Bollywood wedding songs that will set your guests tapping their feet all throughout. This song brought Akon to Bollywood, which is iconic in itself. The beats are fast with a great fusion of Indian and western music. This song from "Ra.One" will have the entire marriage procession swaying and grooving. A typical Punjabi song from the movie "Aisha", this song is very funky, trendy and extremely danceable. The foot tapping beats will have everybody on the floor. It is excellent for all marriage ceremonies. Ainvayi Ainvayi, from the hit Bollywood film “Band Baaja Baaraat”, is a fun number and great for dancing. Do not be surprised if the shiest person in the wedding gets up to his feet and begins grooving to this number. This Punjabi style number from Kangana Ranaut starrer “Queen” will have even your grandmother doing thumkas on the dance floor. 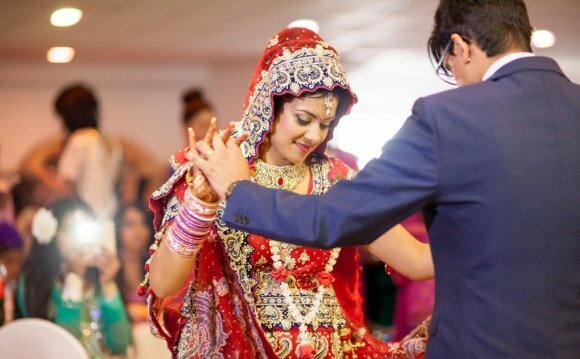 This feel good song is perfect for your sangeet ceremony. Mauja Hi Mauja, from the super hit film “Jab We Met” had Shahid Kapoor dishing out some of his best moves that too in a suit. Your wedding party would be raising hell dancing to this number. Deepika grooved to this chart topping hit dance number from “Cocktail” like no one was watching. People at your wedding will move to this song and have an absolute gala time! This song is perfect for a little bit of chhed-chhad on the dance floor among the bachelors and bachelorettes from both the bride and groom’s sides. This is a must-have in your wedding playlist. Sadi Gali is another typical Punjabi number. It is perfectly apt for weddings. It is a hot, peppy and very entertaining number from the movie “Tanu Weds Manu.” And it will set the mood for celebration. Desi Girl from the movie “Dostana”, is an alluring blend of Indian and western music. The beats will surely spread a feeling of excitement among your guests. All the desi girls would be tapping their feet while dressed in their traditional best! This peppy song from “Student Of The Year” will have everyone grooving, from your youngest cousin to your oldest aunt. You should not leave out this one from your list. Here is a bonus song for all the readers is from the blockbuster “Vicky Donor”- Rum & Whiskey This song is as fun as the movie. The peppy beats, mischievous lyrics and the Punjabi tadka can shake up the whole wedding party! The Bollywood Brass Band is a brass band playing Bollywood and traditional Indian music, based in London, England.